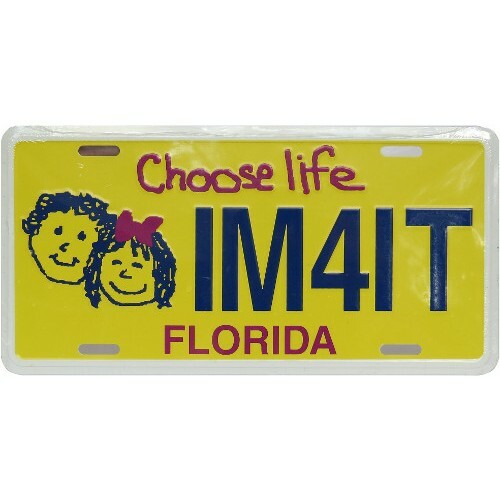 Show your support for the national Choose Life effort. 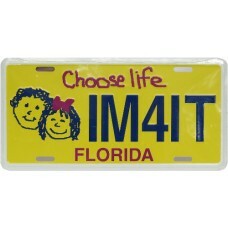 Promotional Choose Life license plates are available for all states. Put them on your front bumper or in your back window if your state requires both front and rear plates. Metal plates are 12" X 6" raised lettering, with fade resistant printing. 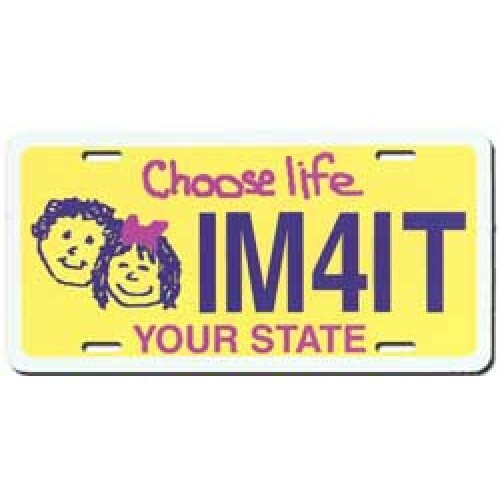 Twenty-eight states now have a real "Choose Life" license plate. Go to our homepage and click on your state for information to get them. We accept American Express, Discover, Master Card & Visa.